Famous comedian and actor ANT recently publicly shared his struggle with an addiction to illegal drugs, which quickly developed into a food addiction. In taking this bold step and openly discussing his battle with food addiction, light is now being shed on a serious condition that many individuals struggle with today. Sadly, stigma around this disorder prevents many people from getting the help they need. A common misunderstanding about food addiction is that this occurs only in individuals who are obese; this could not be farther from the truth. A research study published in Frontiers in Psychiatry found that the obesity epidemic cannot be fully attributed to addictive eating, and a high proportion of under-, normal-, or overweight individuals (approximately 10 percent) can be classified as food addicted . Food addiction is unique in that it is characterized by behaviors similar to both eating disorders and substance abuse. In the same way that a person can develop an addiction to the biochemical responses created by using a substance, like an illicit drug, individuals can also develop addictive eating patterns to certain foods or food groups. 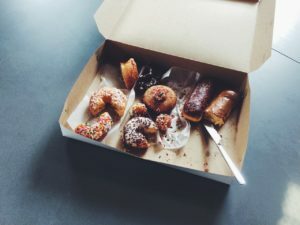 Research on food addiction has shown a connection between food addiction and foods that are “hyperpalatable,” such as those foods that are calorie-dense, high in sugar, salt and/or fat, or containing other addictive additives . The parallels between substance dependence and the excessive consumption of hyperpalatable foods have been demonstrated in animal research models, which have shown that rats develop both behavioral symptoms and neurochemical changes that are comparable to drug use . A food addiction is also characterized by compulsive overeating, including binge eating behaviors. This may involve emotional indicators, such as having a sense of loss of control, experiencing feelings of guilt or shame, and increased prevalence of mood disorders, including depression and anxiety. Because there is a variety of complex factors involved with the development and progression of a food addiction, including biochemical, psychological, environmental, social and more, comprehensive treatment is often the most effective approach for healing and recovery. The management of a food addiction may combine approaches used for both eating disorders and traditional addiction methods, including psychotherapy, medical nutrition therapy, medication management, 12-step groups, and more. Nutrition interventions through medical nutrition therapy can be effective in helping an individual manage a food addiction. Medical nutrition therapy is defined as a therapeutic approach to treating medical conditions and associated symptoms with individualized dietary instruction, diet therapy counseling, meal plans, etc., which are provided by a registered dietitian (RD). With food addiction treatment, an RD is part of a multidisciplinary team that will collaborate together to address the many complex issues involved with this disease management. It is important to understand that medical nutrition therapy is most effective in the context of a comprehensive treatment plan that also includes psychotherapy. Because a food addiction involves irregular eating patterns, over-consumption of certain foods, frequent bingeing episodes, and compulsive eating, nutritional interventions are necessary for developing healthier eating patterns and managing this condition. 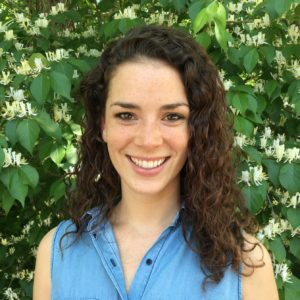 Despite the overall objectives of medical nutrition therapy for food addiction listed above, a treatment plan should be individualized to meet each person’s unique needs, as well as address any co-occurring issues that may also be present. Depending on the treatment setting, nutrition therapy may take place as part of an overall treatment program, in which a person would have regular sessions with and frequent access to a registered dietitian, or in an outpatient setting, where a dietitian may be seen on an “as needed’ basis. Many eating disorder treatment centers offer specialized care for people who may be struggling with a food addiction, and this may be a helpful place to start when seeking out treatment options. Treatment teams for food addiction should include an RD, who can provide the essential component of medical nutrition therapy as part of overall management and recovery. By opting for comprehensive care for food addiction, you are ensuring that a multidisciplinary team will work together to meet your unique needs and concerns. About the Author: Margaret Geraci, RD, LDN, is Director of Nutrition Services at Timberline Knolls Residential Treatment Center.